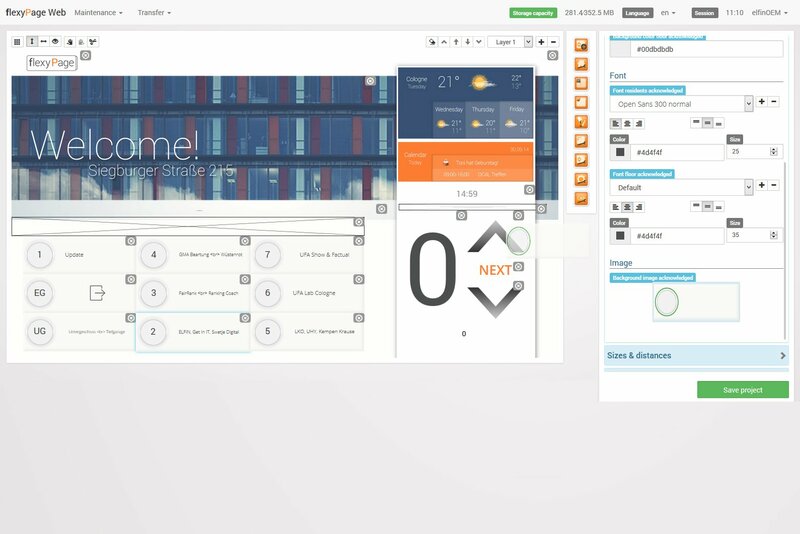 The layout of our flexyPage displays consists of a collection of little applications - so called widgets. Each of these has a specific function, such as the visualisation of velocity or displaying the time. Widgets can easily be placed on the display via drag and drop. Size and colour can be adapted as well. This way you can present various content on your display such as a visualisation of the weight or a video in the lift cabin, with which you inform or entertain the passengers during their ride. In addition, event based advertisements can be displayed. In case of an emergency, new ways of communication are possible. Special widgets are available for depiction of announcements, floor or direction indicators, as well as floor oriented information. The appearance can be adapted to your layout wishes. If the display is equipped with touch functionality, this widget can be used for various kinds of car calls. You can set priorities and behaviour when acknowledged and access restriction via PIN entry. The ‘intelligent’ flexyPage displays can evaluate data from internal or external sensors like weight, position or velocity. 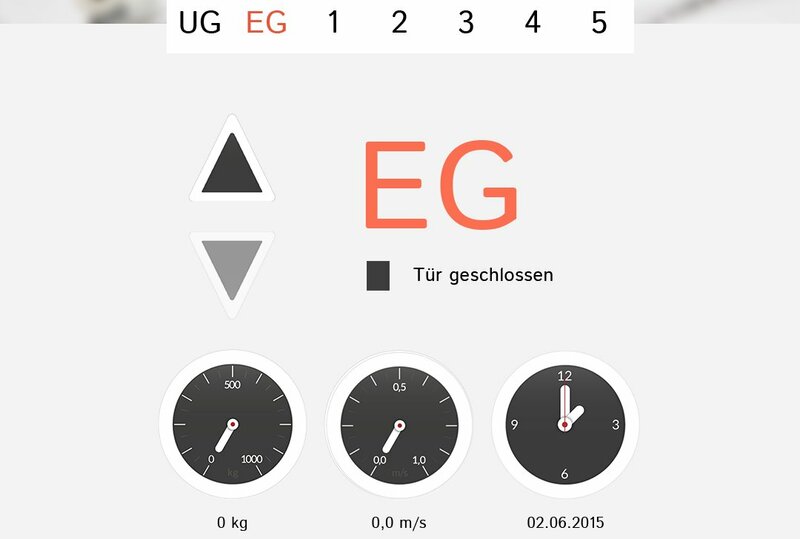 Various widgets are available to depict the different measurements individually. If the display is connected to the internet, a number of widgets can be used for output of web services such as weather forecasts, news, RSS feeds or social media posts. Modern TFT displays in lifts and halls are ideal for depicting multimedia data. Passengers can bypass unpleasant waiting times and find useful information. flexyPage displays provide widgets to illustrate date and time of different locations in various designs. You can easily configure the design and format or chose between a digital or analogue clock.